A Certified Personal Trainer, blogger, writer, and small business owner shares her thoughts, opinions, and knowledge about fitness, nutrition, mental health, and everything in between. A conversation between me and Aisha Thomas about mental health, especially mental health in young people! What is an Adjustment Disorder? I am here to break it down for you and tell you about my experience with it! How fitness impacts my mental health and vice versa! In today’s episode, I discuss health coaches; what are they, what I like, what I dislike, and experiences with them. The do’s and do nots of gym life! I don’t nitpick when it comes to gym etiquette, so hopefully these things are common sense! Above all, just be nice! I just wanted to speak real quick about BALANCE and why I believe it is so important to live a healthy but balanced lifestyle! The very FIRST episode in my new series, Mental Health Conversations. My best friend Harlee is here to talk all about mental health with me! I talk about my journey of taking anti-depressants, including my fears, thoughts, and the dreaded side effects. My opinion about the 3 best diets and 3 worst diets of 2019 as determined by Good Housekeeping and aired on The Today Show. Merry Christmas! A bonus episode! Just a quick chat about New Years Resolutions and why YOU should start NOW. Yes, YOU! In this episode, I share my very own journey to health with you! Just a few reasons why I talk openly about mental health and my mental illnesses! A Certified Personal Trainer’s advice for people who want to get healthy! Follow me at the fitwriter.blog and @the.fit.writer on the IG! All about my experiences as a personal trainer: the good, the bad, and the ugly. PLUS: my advice for future certified personal trainers. Who am I? 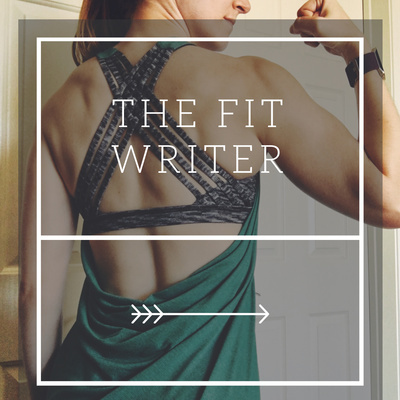 Why am I called the Fit Writer? What will this podcast be about?